LaFollette is a name familiar to Wisconsin voters. Robert M. LaFollette was a Congressman, Governor, and Senator, one of his sons also was Governor and another Senator, and a grandson served as Attorney General. So what chance does Scot Ross have running against incumbent Doug LaFollette (Robert's first cousin thrice removed) in the fall Democratic primary for Secretary of State? "I know what you're saying," responds Ross. "Famous last name, political history - every child grows up in Wisconsin hearing the name in school. But with the challenges we face, I don't think the central focus of this campaign should be the fact that Betsy Ross is a relative of mine." And he was born on Flag Day. 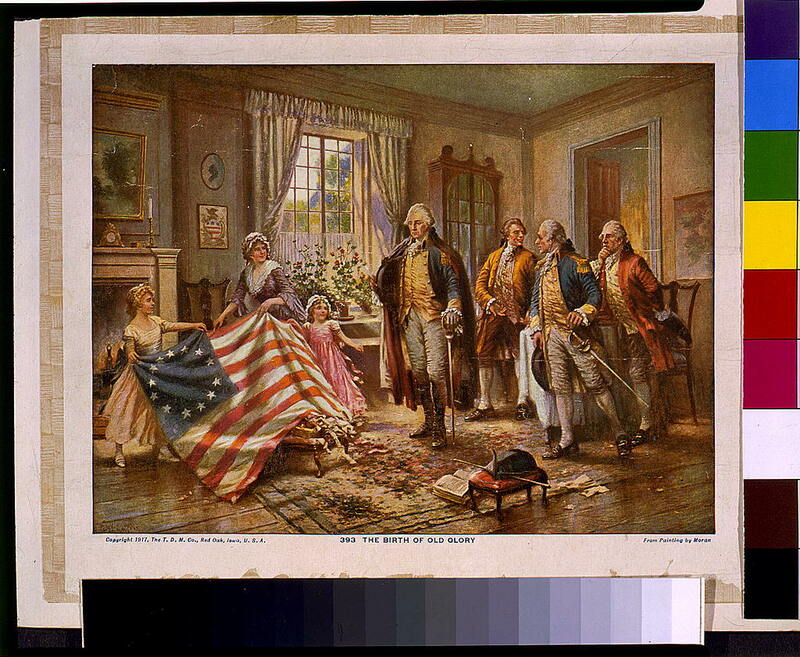 Genealogy.com has the ancestry of Betsy Ross—known to her friends as Elizabeth (Griscom) (Ross) (Ashburn) Claypoole.